The following lyrics to Third Day's song, BORN AGAIN, are so lame that they're a joke. But worse than that, they distort the Biblical meaning of what it truly means to be “born-again.” Mac Powell of Third Day sings that he “feels” born-again. That's not what being born again is all about. It's not a “feeling.” Being born-again means having He Who is the beginning, Jesus Christ, born in you (John 3:1-5; Revelation 1:8). Good luck trying to find anything explaining what Third Day believes about being saved. The message of the heathen Ecumenical Movement is to simply give your life to Jesus, which is what every unsaved Catholic believes. 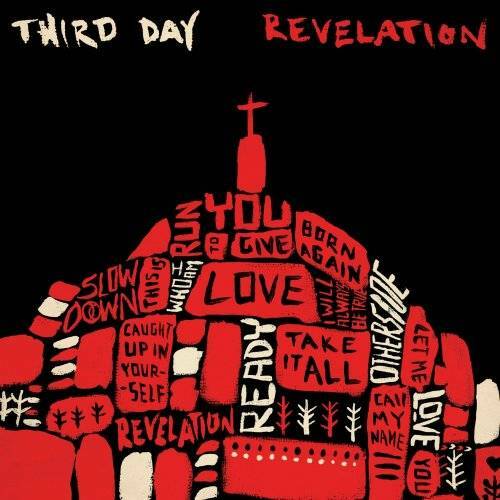 Reprobate bands like Third Day exploit Christianity to make a buck. Their lyrics are deliberately so weak as to blur the lines between different religious denominations. This is the purpose and goal of the Satanic Ecumenical Movement (i.e., to unite by error, rather than dividing over truth as God commands in Titus 1:10-13, Romans 16:17, Ephesians 5:11, Galatians 1:9 and 2nd Corinthians 6:14-17). Third Day is of the Devil. They all use corrupt Bibles, avoid the offensive Gospel that condemns Catholics and other works-based false religions to Hell fire, and promote ecumenical unity over Biblical separation (2nd Corinthians 6:14-17) and doctrinal soundness (Romans 16:17; Titus 1:10-13). Theosophist and Satan worshipper, Alice Ann Bailey (1880-1949) was a mystic and occult prophet, a devout worshipper of Lucifer. She falsely claimed that Maitreya is Christ. Bailey's mentor was Helen Petrovna Blavatsky (1831-1891), an open Satanist who published an occult magazine called, LUCIFER, in London in 1887. After years of contact with her spirit masters she helped to found the Theosophical Society in 1875. “Lucifer is the LOGOS in his highest, and the 'Adversary' in his lowest aspect — both of which are reflected in our Ego,” (The Secret Doctrine II, pg. 162). “Satan is the god of our planet, and the only god,” (The Secret Doctrine II, pg. 234). “Lucifer is divine and terrestrial light, the 'Holy Ghost' and 'Satan,' at one and the same time... And now it stands proven that Satan, or the Red Fiery Dragon... and Lucifer, or 'Light-Bearer,' is in us: it is our Mind — our tempter and Redeemer, our intelligent liberator and Saviour...” (The Secret Doctrine II, pg. 513). Satan is the god of this world (2nd Corinthians 4:4). Satan controls the world, in part, through the influence of demon-possessed, Luciferian-worshippers such as: Madame Blavatsky, Alice Bailey, Albert Pike, Benjamin Creme, and Aleister Crowley. Lucis Trust propagates the work of an “Ascended Master” (i.e., a demon possessed man) who was working “through” Alice Bailey for 30 years. Just as Christians look to the Bible for spiritual guidance, so do occultists look to the writings of Luciferians such as Alice Bailey for spiritual (demonic) guidance. It's the Word of God verses the Devil. Don't you understand my friend, everyone is somebody's slave. If you don't want a good God to rule over you, then you will be enslaved to a cruel Devil. Alice Bailey was contacted by the Master Koot Humi in 1895 (i.e., a “Master” of New Age witchcraft). In 1917 Alice Bailey became acquainted with students of Blavatsky and then joined the Theosophical Society. In 1919 the Master Djwhal Khul contacted her and asked for her assistance in taking some dictation. At first she refused out of fear, but then later accepted upon instruction from the Master Koot Humi. The Master Djwhal Khul then wrote eighteen books through Bailey over the next thirty years. She founded the hugely influential Lucis Trust publishing house in 1922.
she is considered the mother of the modern New Age Movement. Alice Bailey was the chief channeler for Djwhal Khul, the Tibetan Master, who dictated through her nearly 20 books. Alice Bailey rejected the Christ of Scripture to embrace a different Christ because of her acceptance of an occult belief system. Most people do not realize how significant she was in shaping the New World Religion that we see surfacing today. SOURCE: Alice Bailey, The Externalization of the Hierarchy, 1957, Lucis Publishing. It is telltale to read the writings of a Luciferian worshipper, Alice Bailey, that gives instructions on how churches should operate. The Bible teaches that Satan's sinister ministers are TRANSFORMED into ministers of righteousness (2nd Corinthians 11:13-14). And Satan himself is transformed into an angel of light to DECEIVE his victims (2nd Corinthians 11:15). A witch is a women who deals in familiar spirits. occultists, Luciferians, and Freemasons all want to corrupt the world's churches. From a young age, Benjamin Creme was was a student of the works of Blavatsky, Bailey, and other occultists. First contacted by The Master (full name undisclosed) in 1959. The Master informed him that he would play a major role in the reappearance of Maitreya the Christ. Formed Share International Foundation in 1975. Since then he has been traveling the globe, speaking and lecturing in preparation for The Christ, and he claims to be in direct telepathic contact with both The Master and Maitreya. This is total demonism. They teach that the Antichrist will be the savior of the world. The truth is that everyone who follows the Antichrist will go straight to Hell when they die (Revelation 14:11). Everything today is happening exactly as Alice Bailey predicted; just as the Luciferian worshipper, Albert Pike, predicted World Wars 1 and 2 (and he has provided vivid details about the upcoming World War 3). The vile New Age Movement has been trying to infiltrate churches for a century, and they have finally succeeded, sadly. Satan is delighted. Through numerous apostate vehicles, occultists are working together to build a New World Order (which will center around a One World, Luciferian, New Age religion). The Bible speaks of this religion in Daniel 11:38 as “the God of forces,” which the Antichrist will honor. Mysticism is unbiblical. Mysticism is rooted in Satan worship. 2nd Corinthians 4:4 teaches that Satan BLINDS the minds of unbelievers to prevent them from obeying the Gospel of Jesus Christ. There is a huge difference between Biblical spirituality and occult mysticism. You may not “feel” born-again, but feelings are not what get you into Heaven in the first place. A person can “know” beyond any shadow-of-a-doubt that they are born-again. Being born again is a second birth, a spiritual birth. It is by God's Holy Spirit that we are born-again, i.e., we are born anew of the Spirit of God (Romans 8:9), from the Seed of God's Word (1st Peter 1:23) in response to our faith in the Lamb of God (John 20:31). Christ died, that's history; Christ died for me, that's salvation! Ye must be born again! Catholics Teach Same Meaning of “Born Again” as Lordship Salvationists! The following quote is taken from a 100% devout Catholic website, authored by David MacDonald, which clearly reveals that all of the apostate Contemporary Christian Music [CCM] singers, sinister ecumenical ministers, and Lordship Salvationists; totally AGREE with Catholic theology (which is unbiblical heresy and lies of Satan). Note: If you have never made a personal commitment to Christ. If you have never asked him into your heart and to be Lord of your life, I encourage you to do that now. "Life in its true sense is not something we have exclusively in or from ourselves, it is a relationship. And life in its totality is a relationship with him who is the source of life. If we are in relation with him who does not die, who is life itself and love itself, then we are in life. Then we 'live... Our relationship with God is established through communion with Jesus -- we cannot achieve it alone or from our own resources alone." That is EXACTLY what John MacArthur, Ray Comfort, Kirk Cameron, CCM singers, Max Lucado, Rick Warren, Moody Bible Institute, and all the other Lordship Salvationists are teaching today. In case you haven't realized it yet, Lordship Salvation is CATHOLIC DOCTRINE!!! They all talk about being born-again as a feeling or an experience; but they deny the power thereof (2nd Timothy 3:5), which is the Gospel of Jesus Christ (Romans 1:16; 1st Corinthians 15:1-4). Notice in the preceding quote that David MacDonald, admittedly a devout Catholic, continually refers to being born-again as an “EXPERIENCE” (just as the apostate Newsboys CCM group do)! David MacDonald defines being “born-again” the exact same way as apostate CCM singers and sinister ecumenical ministers, teaching, “Jesus, take my will and my life, I give everything to you.” That is a false Gospel. Judas was one of Christ's very Apostles, a follower of Jesus, but still went to Hell. Jesus called Judas a devil (John 6:70). Notice that the mention of “sin” is not made. Being born-again is a matter of having one's sins taken away by the precious blood of Jesus Christ (1st Peter 1:18-19; John 1:7; Revelation 1:5). Colossians 1:14, “In whom we have redemption through his blood, even the forgiveness of sins.” The Pope doesn't mention “sin” when he speaks of being born-again. David MacDonald talks about having an experience, just as the evil Newsboys sing and teach; but they leave off any mention of coming to God as a guilty, hell-deserving “sinner” (Romans 3:19). Modern apostates jumble a bunch of Biblical terms into their fruit cocktail of religious music and sermonettes; but fail to present the Biblical Gospel of a man coming to God as a guilty sinner and trusting upon the Lord, apart from all self-righteous works, to be forgiven (Romans 4:5-6; Ephesians 2:8-9). Salvation is not a feeling, nor an experience; it is a miracle of God in response to a sinner's faith in the Son of God, Jesus Christ (John 20:31; Romans 10:3-4; Galatians 3:26). Asking Jesus to “take your will and life,” and “giving everything to Him”; are not the ways to be saved. This is made clear in Matthew 7:21-23. In verse 21, Jesus said, “Not every one that saith unto me, Lord, Lord, shall enter into the kingdom of heaven; but he that doeth the will of my Father which is in heaven.” Jesus said You must do “the will of the Father.” What is the will of God how to be saved? John 6:40 tells us exactly what the will of God concerning salvation is... “And THIS IS THE WILL of Him [God the Father] that sent Me [God the Son], that every one which seeth the Son, and believeth on Him, may have everlasting life: and I will raise him up at the last day.” Amen and amen! So there you have it, the will of God how to be saved, i.e., to believe on Jesus Christ. The will if God is to BELIEVE... to BELIEVE... to BELIEVE on Jesus Christ, as the Son of God. God's Simple Plan | Ye must be born again!